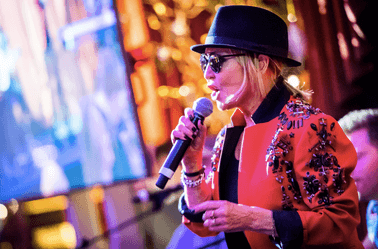 Delighted to start the New Year with wonderful news from a star studded event in December at the famous Quagalino’s restaurant in Mayfair in aid of the The Prince and Princess of Wales Hospice. The event featured Lulu, Bay City Rollers, Darius and other Scottish celebs and a weeks stay at Cameron North Lodge raised £6500! By all accounts the night was a huge success with over £70,000 raised towards building a new hospice in Glasgow.